In case you forgot your Constitutional history, the power to officially declare war resides within Congress. 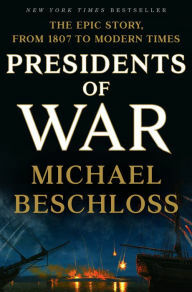 In Presidents of War, author Michael Beschloss has chronicled the history of war and the US Presidency. This book focuses on the increasing source of power within the Presidency to execute war (or actions of war) while Congress has steadily become less and less engaged over the course of American history. Beschloss starts with the Chesapeake-Leopard Affair, which occurred in 1807, and featured Thomas Jefferson’s reaction as a precursor to the first declared war since independence in the War of 1812. The two events set the stage for a gradual evolution in the power of the Presidency from merely executing war upon approval of Congress to actively engaging in it as we did in Vietnam, even without the official declaration. 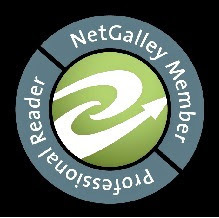 All throughout the book, the reader will see the evolution of power...and the conniving, scheming and occasional dishonesty and civil liberties infringements that went along for the ride. Beschloss relates that one can appreciate the thought that if the Founding Fathers were to appear today they’d be surprised at how far the Presidency has come in its scope of power. This is a very sound, well-researched book that shows the story of leadership and human nature through the eyes of several Presidents and their supporting cast. It is essential reading, regardless of which party or whoever is in the office.